Good evening from the Jackpot camp where all eyes were on our elites this weekend across the very large pond in Rio! Whilst Gomez who claimed gold and also an automatic place in the Spanish team at the Olympics, automatic entry for the Brits requires the athletes to podium at two ITU races this year. 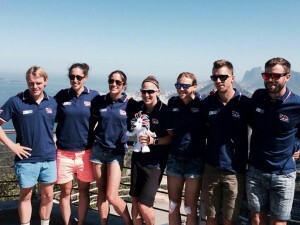 The race is on for the GB team….